In most of Los Angeles nowadays, you can&apos;t go a block without passing a nail salon—and they&apos;re often busy. That booming industry may have been started by actress Tippi Hedren, who brought the practice to a Vietnamese refugee camp decades ago. In 1975, after the fall of Saigon, Hedren—best known as the frosty blonde in Hitchcock&apos;s The Birds—visited a Vietnamese refugee camp in Hope Village near Sacramento, the BBC reports. Her intention was to find jobs for the women there, many of whom were married to high-ranking military officials. She brought seamstresses and typists to the camp, but the women were particularly interested in Hedren&apos;s manicured nails. So, she brought her own manicurist to the camp, who taught about 20 women the skill. Hedren then helped the women find jobs in SoCal. "I loved these women so much that I wanted something good to happen for them after losing literally everything," she said. One woman, Yan Rist, had worked as a translator and in military intelligent in Vietnam. She said Hedren secured her a job in Beverly Hills on Rodeo Drive, but the cost of parking—"$8 in 1976," she said—was too much for her. Hedren helped her find a different salon, and now she does tattoos in Palm Springs. In the &apos;70s, manicures were costly and most Americans couldn&apos;t afford them. However, the influx of Vietnamese American salons drastically lowered the price and allowed average American women to also flaunt shiny, polished nails. 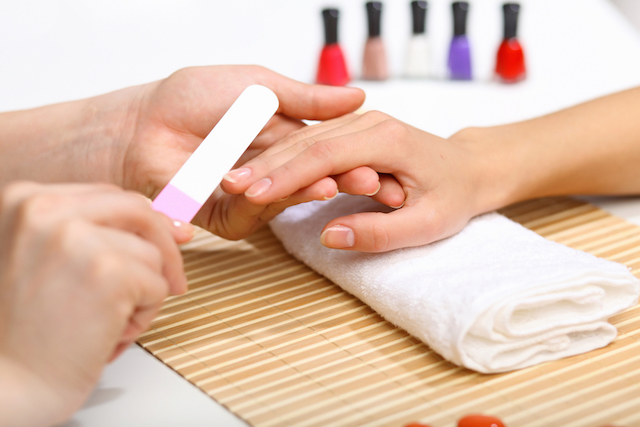 In modern times, a mani-pedi costs about $20 to $30, though the nail industry is worth about $8 billion. It&apos;s also still predominantly run by Vietnamese Americans: about half of all manicurists in the U.S. and 80 percent of all nail techs in SoCal are Vietnamese American. As for Hedren, she has no share of the lucrative nail business. She told the BBC it might be nice if she did, as it would help to feed all of the exotic cats she rescues and houses at The Shambala Preserve in Acton. The documentary Happy Hands, directed by Honey Lauren, talks about Hedren&apos;s work with the women, and there&apos;s also a scholarship in Hedren&apos;s name that works to support nail education.